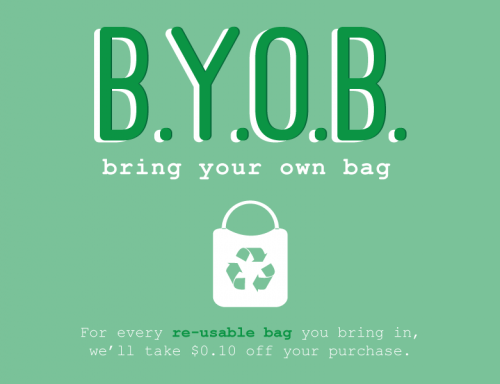 Disposable shopping bags are everywhere. So what’s the big deal? The average American goes through six shopping bags per week. With a population of roughly 300 million, that means 1.8 billion bags are used and discarded in America every week, and all of that trash adds up. 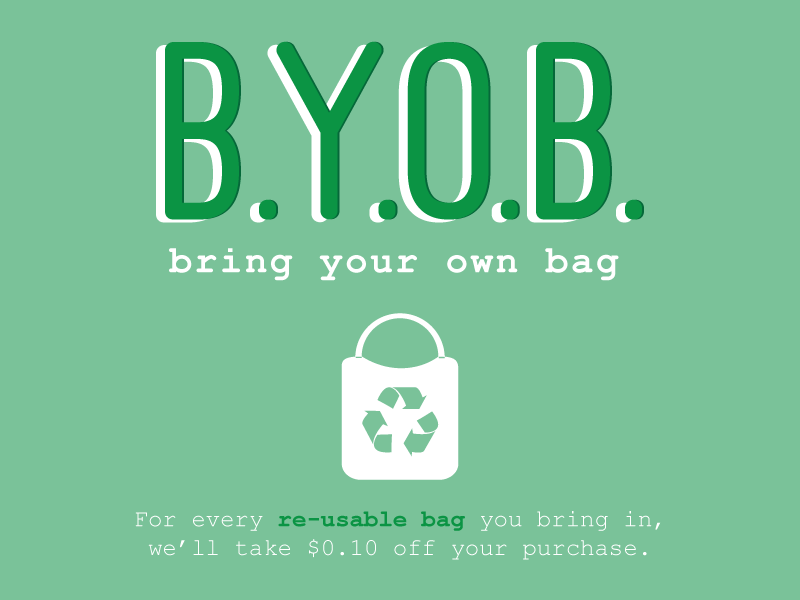 So do us [and yourself] a favor, bring your reusable shopping bag with you when you shop and to thank you, we’ll take 10 cents off your purchase for every bag you bring in.